I applaud anyone that takes on difficult issues in our society. It takes courage, resources and tenacity. It is undisputed that we have a mental health crisis in America, and I’m proud of my latest investment and involvement in a Los Angeles-based startup, OOTify. They have built the company with Provider and Patient input, with a goal to integrate into the insurance model as well. OOTify is a mental health community powered by technology. It seamlessly connects quality mental health professionals, life/executive coaches and verified mentors to (new) clients seeking quality mental health care and general counseling via audio, video and chat messaging. The HIPAA-compliant platform allows users to choose the duration of a session and does not charge them unless they decide to engage a provider at his/her set rate. Peer and community support is also available for those that prefer a more cost-effective medium to get help or otherwise find that type of service to be a more comfortable option. Beyond the company, I invested in the passion of the people behind it. They are clinicians. They are business leaders. They are creatives. They are human. In an industry of bottom-line thinking, I continue to be inspired by the team’s emphasis on maximizing social impact before all else — and I believe this commitment to improving the well-being of others will ultimately define OOTify’s long-term (financial) success. OOTify is also unique in that it is not meant to compete with mental health professionals; on the contrary, the platform has been designed specifically to enhance their practices, and even help them grow their business by creating a relaxed, stigma-free outlet that encourages people to get the help or direction they need. In the democratized system that OOTify has created, it can be said that providers are at the helm, but their interests are aligned with the interests of their patients. The mental health industry is no different than the greater healthcare delivery system — there are a lot of moving pieces, and there are stakeholders at every level. OOTify serves as a bridge between each of these stakeholders, be it consumers, providers, insurance companies or employers that rely on the health and happiness of their workforce to maximize productivity. A testament to OOTify’s early path to success, the company received financial support from TiE Angels, and more recently got backing from the Marshall Venture Fund at the University of Southern California. This “win” follows OOTify’s launch last month from the USC Marshall Greif Center Incubator. The University is investing a great deal of time and resources to advance the mental health and well-being of its student population, and as a fellow Trojan (alongside OOTify CEO, Ravi Sharma), I am grateful that my Alma Mater is taking a lead to resolve what many school administrators across the country label a mental health crisis. Naturally, the 44,000 students that make up USC’s population are a focal point in OOTify’s launch plan. Consider the following statistics provided by the National Alliance on Mental Illness: Roughly 44 million adults in the U.S. experience a mental illness in a given year, and less than half get the help they need; approximately 16 million people in the U.S. had one major depressive episode in the past year; and suicide is the 2nd leading cause of death in the U.S. for people aged 15 to 24 (some universities report they lose one student to suicide on a monthly basis). If the timing is not right to change the landscape for mental health, then when will it be? I believe in OOTify and I admire its team. They don’t all have fancy pedigree, but they have vision, passion, and a brand that can impact a generation. 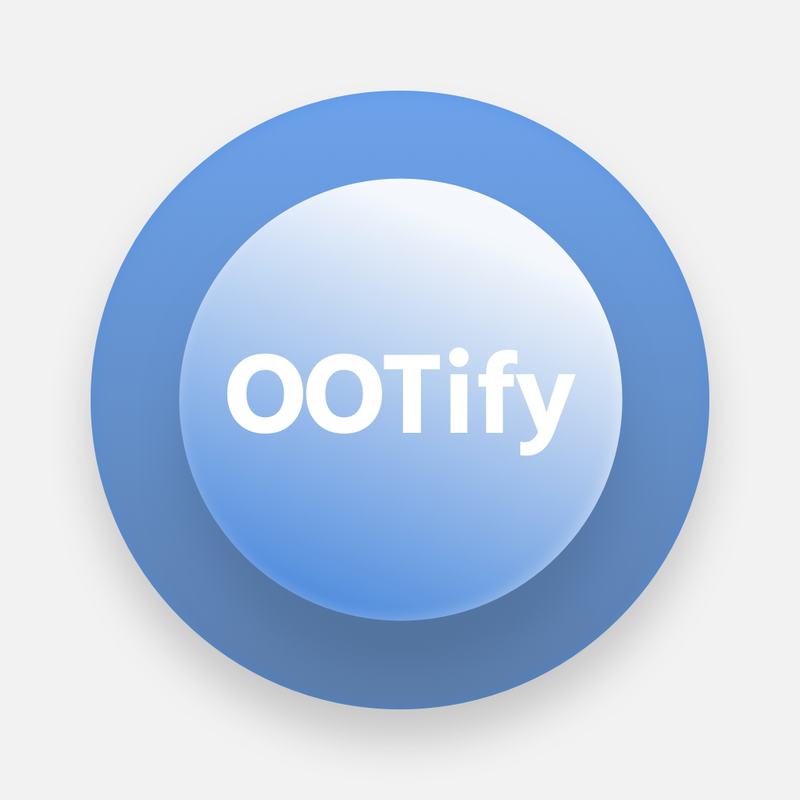 I’m excited about the future of our mental health with OOTify. I encourage everybody to join our movement. Recommended Reading: Professor Noam Wasserman’s Life is a Startup, highlighting the importance of startups that tackle difficult issues in our community. Co-founder and Manager of Tidecrest Capital, LLC. Early investor and Director at OOTify, founding investor at Heal.